Below is a list of Socialist Alternative branches in the United States. Since we elected a Socialist to Seattle City Council in November 2013, we have experienced a flood of interest, and we’re growing rapidly. If you don’t see your city on the list below, your town may still be one of the dozens of cities where we’re building new branches of Socialist Alternative. Contact us today, and we can try to put you in touch with other socialists in your area and help you build a branch of Socialist Alternative. 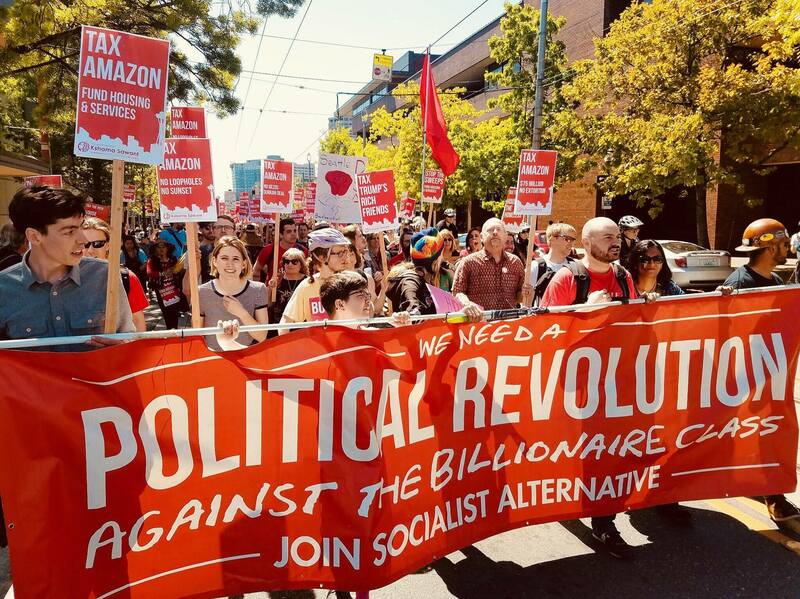 If you agree that ordinary working- class people need an alternative to capitalism and you want to help build the socialist movement then join Socialist Alternative today and help us bring the movement to every corner of the United States. Email us at Contact@SocialistAlternative.org to get involved!